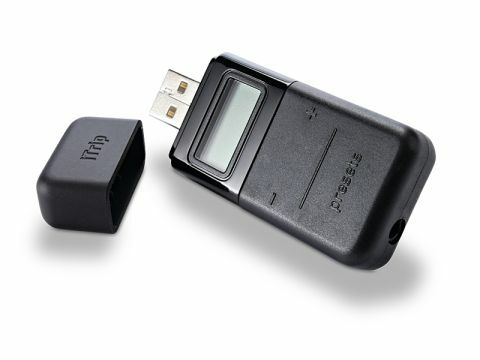 Griffin's new iTrip Universal is the latest in a long line of iTrip devices for transmitting your digital audio player's output to a nearby FM radio. The Universal is a rubberised plastic unit a little wider than a flash drive. It's powered by an internal rechargeable lithium-ion battery, which you charge using a USB port. A single charge gives you several hours' use, and to save power, it automatically switches itself off if there's nothing being broadcast. As you're not tied to a power point or your car's cigarette lighter socket, it's a go-anywhere device. Or at least, anywhere where there's an FM radio. It's genuinely universal, too. Instead of using an iPod's dock connector, this iTrip connects to a headphone socket via the short cable supplied. Consequently, anything that can be used with headphones can be used with the Universal: MP3 players, handheld games consoles, mobile phones, voice recorders – anything. Yet its main strengths are also its key weakness. Being such a small device powered by an internal rechargeable battery, the iTrip Universal lacks power, which takes its toll on audio quality. Getting a solid signal is tricky, and the sound quality is frequently fuzzy and/or muted. Taking its signal from the headphone jack instead of an iPod dock further reduces the quality, leaving you with a sound that's no better than an in-car radio. There's no scanner either, leaving you to manually match your iTrip's broadcast frequency with your radio's receiver. The Griffin iTrip Universal isn't a disaster. Its comprehensive compatibility and convenient portability make it worth a look for those who wish to use it with a range of devices in a variety of situations. But if you're looking for something to fill a specific need, like playing your iPod in your car, a more task-specific device will do the job better.